So far this week we've seen a layout with warm colors and falling leaves, and given you an early holiday gifting idea with a couple of DIY chain necklaces. In keeping with the changing-of-seasons theme this week, we have another scrapbook page by Design Team member Stephanie Buice. An easy way to create a Fall-themed craft is to include a photo of someone cuddled up in a cozy sweater or fleece blanket, like Steph's done here. She's even cuddled up with her hedgehog, Dotty! What a little cutie! Adding a woodland creature also gives this layout that Fall feeling, don't you think? Okay, now let's talk about how she made this page come together! 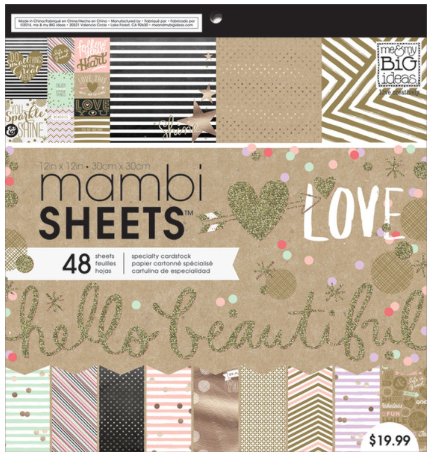 Stephanie used a black-dotted craft page from the Gold Rush 12x12 mambiSHEETS paper pad, and then accented with strips from the Black & White and the Paint Palette 12x12 mambiSHEETS paper pads. 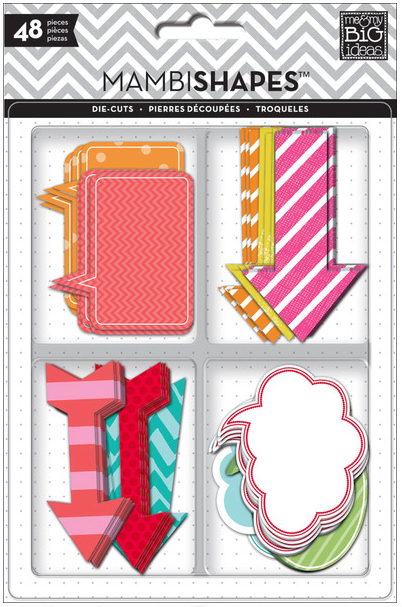 She layered bright colored mambi embellishments (like that 'You Make Me Smile' die cut sticker from this pack), and made the title "hello friend" from a 3x4 cut out piece of the Gold Rush pad. LOVE!